The Lowcountry lifestyle is lived mostly outdoors. Visiting with friends on the porch or boating, paddling and swimming in the ocean and many rivers and creeks that meander through the islands can be enjoyed throughout the year. This year’s warm Holiday weather has been an invitation to partake in all of these activities. 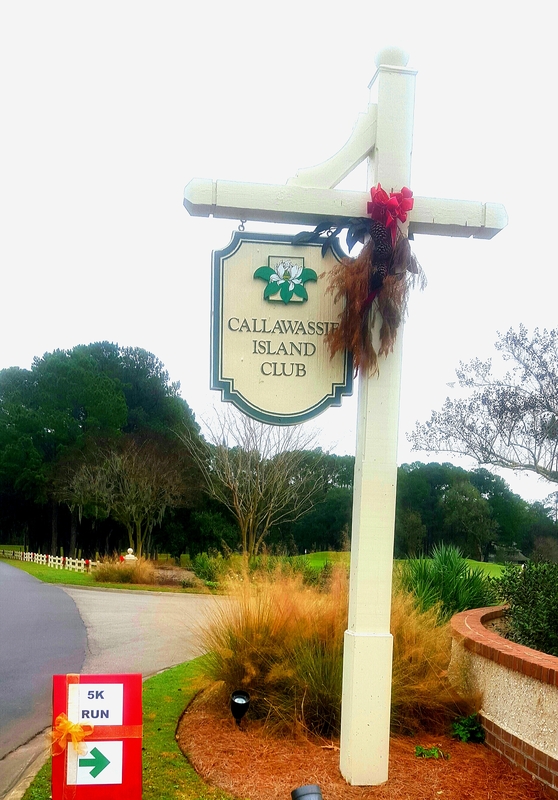 Yesterday, on Callawassie Island (where I am fortunate to reside) where the Lowcountry lifestyle is an everyday occurance, it was all about taking to the road for a walk, run or bike ride. 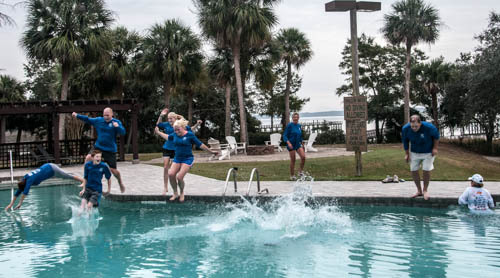 And taking to the pool for the annual Polar Plunge – although this year it was more plunge than polar! The Resolution in Motion event (sponsored by our Club and led by our Fitness Director, Cyndi with the help of residents Deborah, Vera, Patti, Janet and me) encouraged community members and their families to kickoff the New Year with a New Year’s Eve morning of fun and fitness. On Thursday morning more than 50 folks arrived at the River Club to participate in one of four different events – 1 or 3 mile walk/run or 6 or 15 mile bike ride. 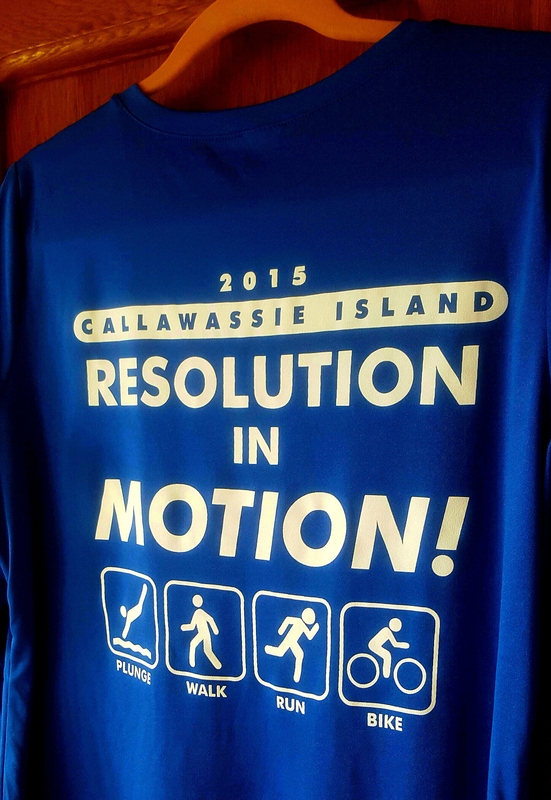 At the sound of the starting gun a sea of Resolution in Motion shirts filled the road – it was a great site to see so many people embracing the active, Lowcountry lifestyle! 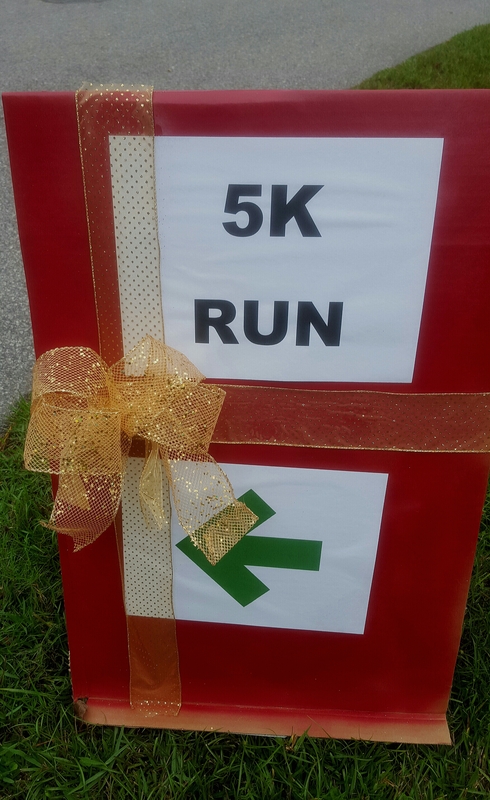 Festive directional signs along the way provided wayfaring and guided the runners, walkers and cyclists throughout our island roadways and back to the River Club for the polar plunge. It was smiles all around! I completed the 15 mile ride (on my Big Girl Bike) along with 11 other residents. It was a great way to spend the last day of the year! For me is was a great end to begin a New Year of fitness and health! I wish you the best of your dreams and good health and much happiness for 2016! Good for you! 15 miles: impressive! Keep up the good, healthy work!